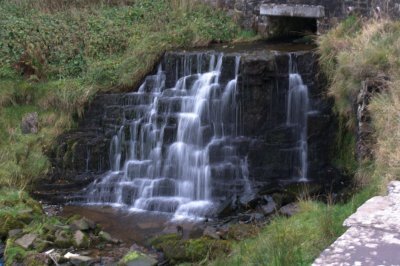 Cam High Road. 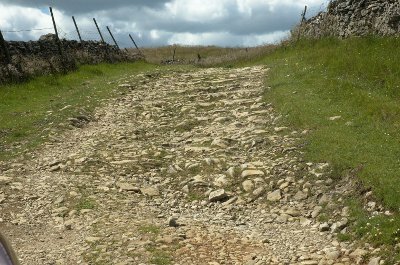 5½ miles mainly along Roman Roads. A lovely easy drive. 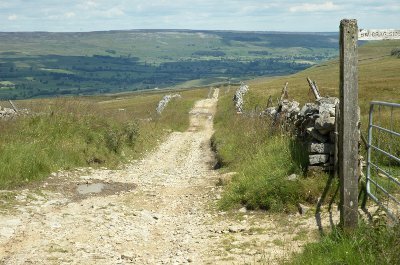 RATING: No nasty surprises on this track just wonderful views across the vast Yorkshire Dales countryside. 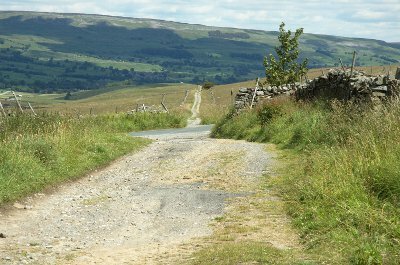 An easy drive along ancient roman roads. 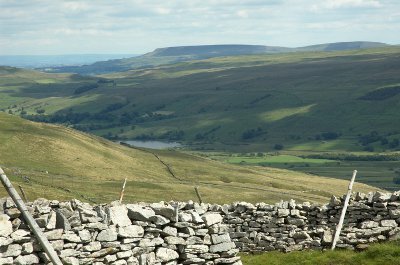 The nearby village of Bainbridge is a typical Dales village with Post Office, butchers shop, tea room and the Rose and Crown Hotel. Hard to believe that this sleepy village was once an important and busy Roman Fort and road centre. 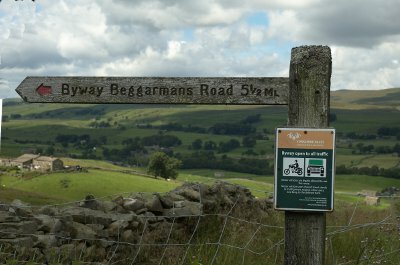 The track is well defined and the signpost at the beginning indicates that Beggarman's Road is at the other end at Fleet Moss. 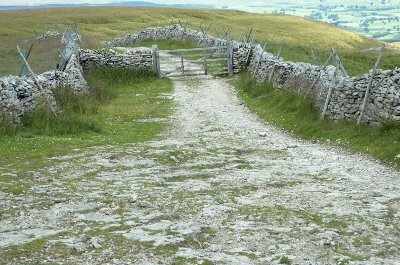 In keeping with Yorkshire Dales policy a sign is clearly displayed showing that the road is open to all traffic. It probably becomes quite busy at peak times as the whole of the area is unsurprisingly a magnet for walkers and cyclists. 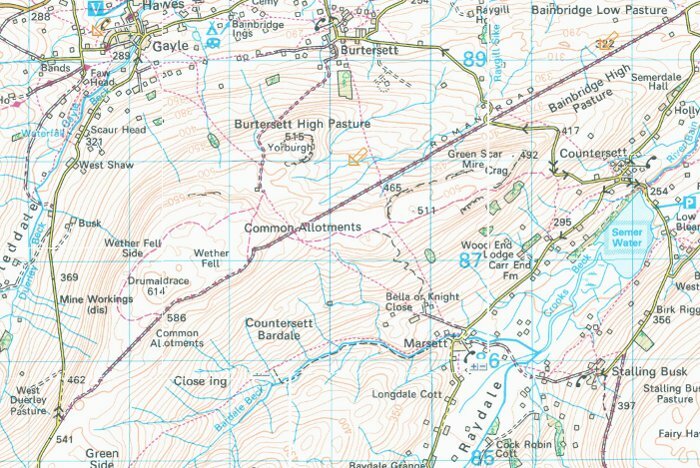 A look at the 1:25000 Explorer map which can be viewed at streetmap.co.uk shows why the area is so popular with hills, dales and waterfalls on either side of the lane. Sheep wander freely and the sound of the heavy diesel Land Rover engine brings them running from all sides obviously hoping that they're hearing the sound of a farm vehicle laden with sheep goodies. This can make opening and closing gates into quite a tactical exercise. The lane itself is well maintained and although it might not be a great idea to take the Porsche it's certainly suitable for just about any vehicle. No big rocks or loose surfaces - just a bit lumpy in places!